A Los Angeles police officer wrapped up a morning meeting where they were reminded on the importance of wearing their bulletproof vests. Everyone in the room nodded their head in agreement, understanding the importance of a bulletproof vest and how it can save your life. Later that day, one of the officers was called to serve an arrest warrant on a drug dealer in the area. As the officer called out “POLICE!” and kicked in the door, four shots were fired and one sunk into the chest of the officer. He was dead shortly after hitting the ground. He left behind a wife and children and his bulletproof vest in the trunk of his car. I’ve heard this story a few times and found it fit to repeat it. We frequently find ourselves in agreement with our company’s initiatives, requests that friends and family make and needs that our community requests from us. Sure, you may understand them mentally, but do you have the conviction to see these things through? The officer likely found the vest cumbersome and uncomfortable. On any given day, it would have been understandable not to wear it. There are a thousand reasons not to do so. Choosing to wear the vest day in and day out is what separated this officer from his life. It could be what’s separating you from the success you’re hoping to experience. I struggle with my bulletproof vest as well. To counteract my excuses, I look to surround myself with people who challenge me. It’s the people who convict me and ask me if I’m wearing my vest. I don’t want to let them down. If you don’t have perfect self control (I DON’T! ), have an accountability partner to help you see it through. It’s worth the trouble. 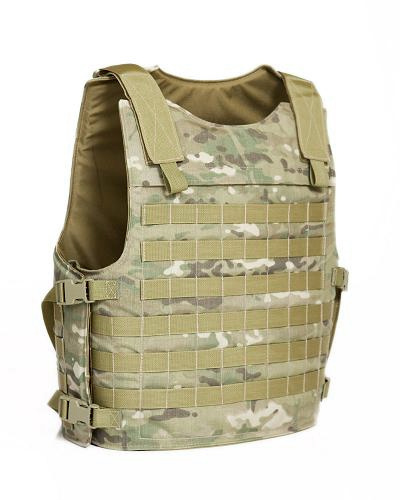 Do you have the conviction to put on your bulletproof vest? I believe that if you don’t believe in the mission- you won’t be committed to to vest. If you are just going along for the ride- you will not be engaged and you will not be putting your best into what you are doing. You might wear the vest one day and not the next. It’s those days when you are not wearing it that will bite you.